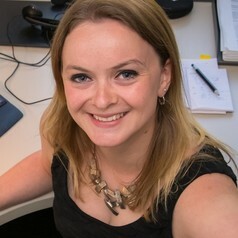 I am a Biostatistician and Senior Research Fellow in the Generation Victoria (GenV) team at the Murdoch Children's Research Institute in Melbourne. My research interests include the use and development of complex analytical approaches in epidemiological research. My particular statistical areas of interest include methods for dealing with clustered or longitudinal data, missing data methods and causal inference. I am a Chartered Statistician and have a PhD in Mathematics and Statistics from the University of Strathclyde in Glasgow, Scotland, and a BSc (Honours) in Statistics from the University of Glasgow in Glasgow, Scotland. My PhD focussed on mathematical, statistical and health economics techniques employed in the assessment of a vaccine for preventing pneumococcal disease. I have experience of conducting statistical analysis in a variety of different medical and public health contexts and enjoy multi-disciplinary collaboration.